The Nordic Barista Cup ~ Be together, act together, learn together - Marco Beverage Systems Ltd.
Hi folks, I hope you’re all keeping well. 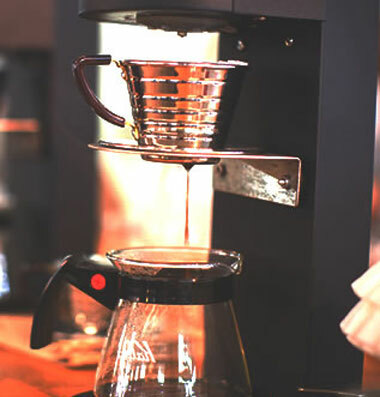 As discussed in our last blog our own David Walsh is off to the Nordic Barista Cup soon so we thought it might be a good idea to wax lyrical (waffle) about it. Without a shadow of doubt I couldn’t possibly have put it better myself. Marco are sponsoring the NBC for the very first time this year. Details of the competition (and our lovely logo) can be seen here. We are providing our 30 litre tap boilers (the spec of which can be seen here) for the cupping and the 5 litre variation for the aeropress brew bars. From a marketing perspective the tag lines of companies and events always intrigues me and the tag line of this event is no different. Be together, act together, learn together. It sounds like something of a love-in but credit where it’s due the organisers do seem to be making an effort to create an atmosphere where everyone from the coffee world can meet, share ideas, and help to develop coffee through cooperation. Sound cheesy? It is. But it’s to be admired as these events can be rather commercial and they are heavily pushing their mission statement and trying to live by it so credit must go them for that. Can’t get enough of the NBC? Well you can read on here and see the full list of speakers here. We’ll keep you up to date with all the new goings on in the Marco world and we’ll find out what David made of the NBC in due course. Until then, take it handy folks.